A seemingly one-man spectacle that was actually supported by dozens of talented individuals – that’s the power of the one and only Yoshimichi Kameda! 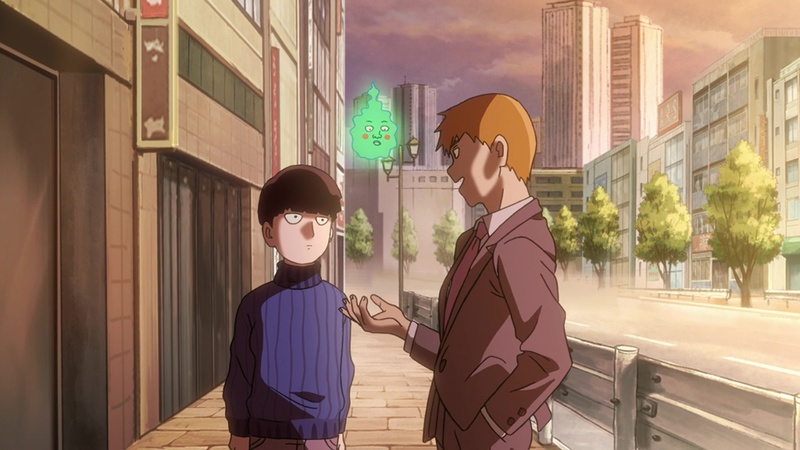 ─ After a wonderful premiere that crystalized the series’ overall message in the form of a more down-to-earth, sweet middle school story, episode 2 presented us another core element of Mob Psycho 100: the episodic supernatural adventures. As we’ve come to expect from these short stories, the episode offered a mix of the setting’s otherworldliness, that spectacular action the production is known for, and comedy that stayed as irreverent as ever. 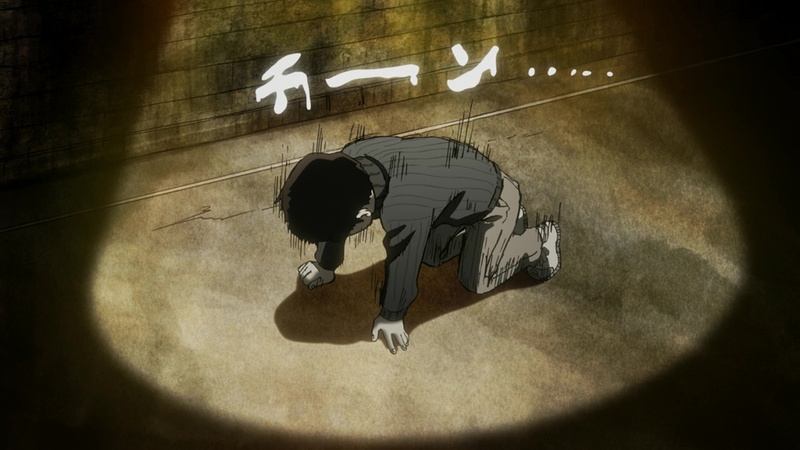 No matter how much they’ve grown, I’ll never get tired of Reigen’s bamboozling and Mob’s naivete – and you’ve got to give it to them, our dorky heroes tend to be successful by the end in spite of themselves… though this time Mob might have suffered severe mental damage in an unexpected way. ─ Last week I wrote about multiple staff members returning and it seems like that’ll be a recurring theme. 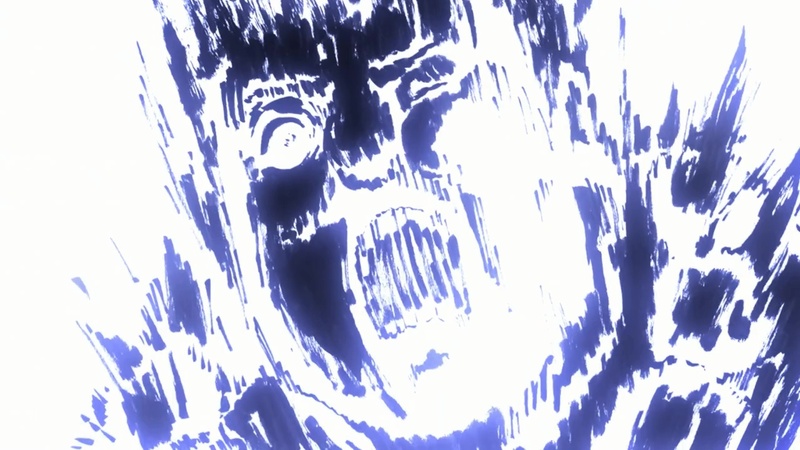 This episode was handled by Katsuya Shigehara, a regular ally of series director Tachikawa; not only did he co-storyboard and direct a handful of season one episodes, he also assisted Tachikawa on the latest Detective Conan movie, so you can guess how much he trusts Shigehara. 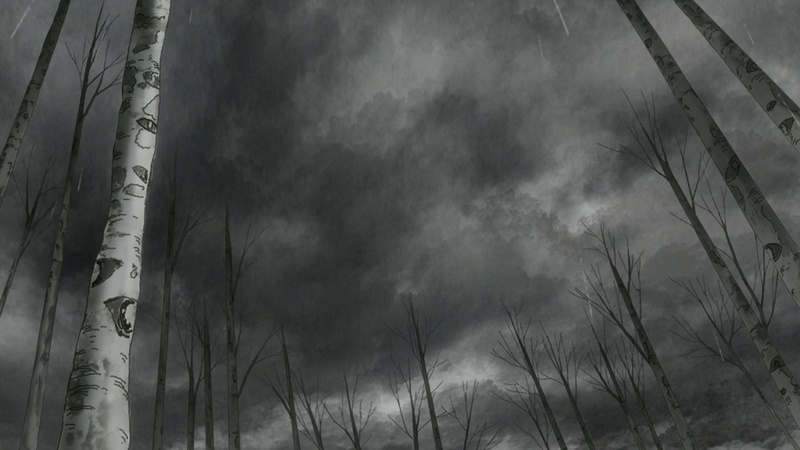 His storyboard this time was noticeably packed with both low and high-angle shots, which were applied to enhance the ominous atmosphere and make the threats the characters faced appear insurmountable; the climax was set in gloomy weather conditions, and yet as soon as the serious threat was disposed of, the sky cleared up and the framing switched back to more reassuring level shots. Not exactly revolutionary staging, but effective nonetheless! The stakes were deliberately low and even the serious matters were tackled from a humorous angle, so there was no need to dedicate the most inventive and unsettling directorial ideas to this tale. 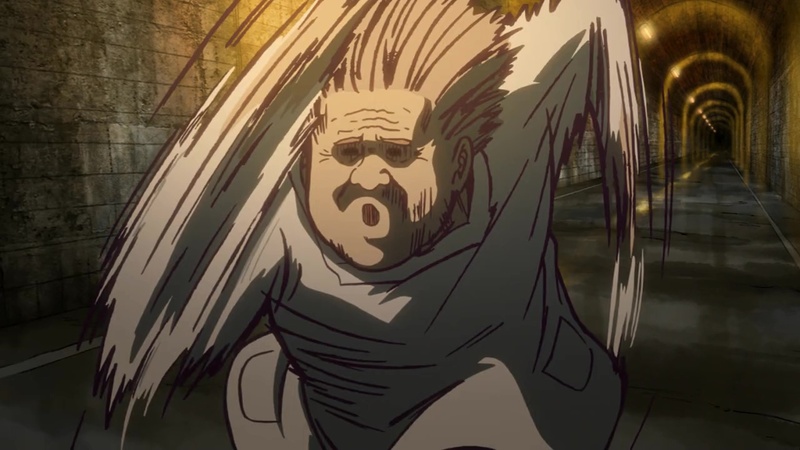 The lively aftertaste it left was mostly relayed through animation and voice acting rather than camerawork, but credit where credit’s due: the Street Fighter parody was a nice addition to the already hilarious scene in the playground, so Shigehara earns a well-deserved passing mark. 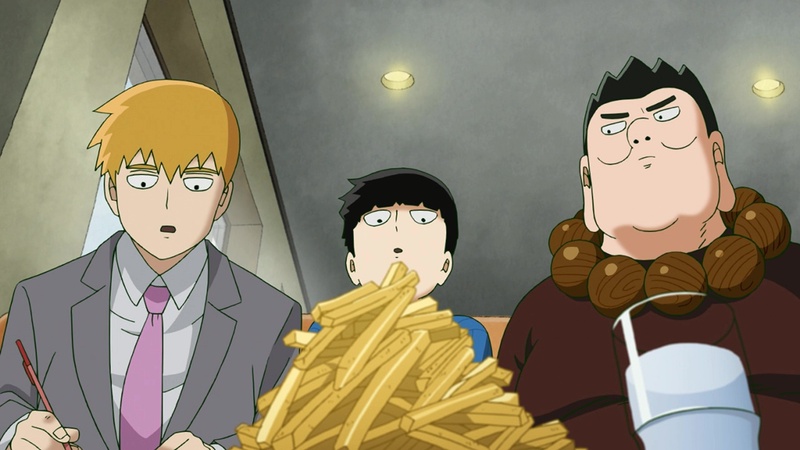 ─ If there’s one ingredient in Mob Psycho‘s delicious recipe that still doesn’t receive enough praise, it’s got to be the background art. 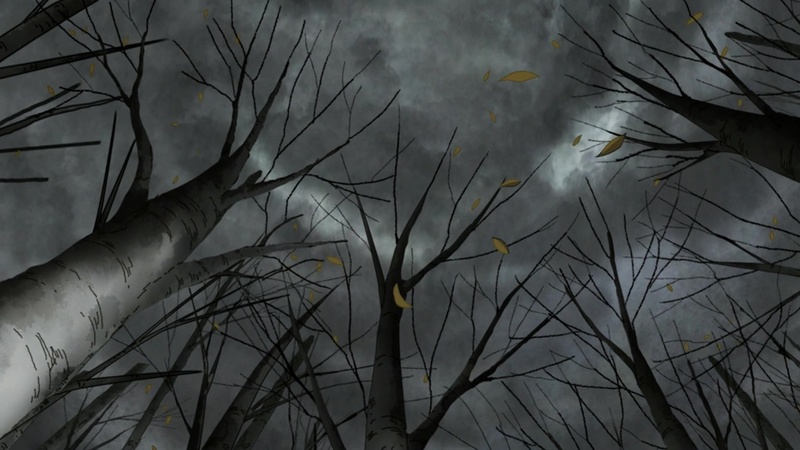 And this week’s a great time to issue that reminder, since the change in the atmosphere – from amusing urban adventures to the ominous truth behind the myths – was in great part caused by the scenery. 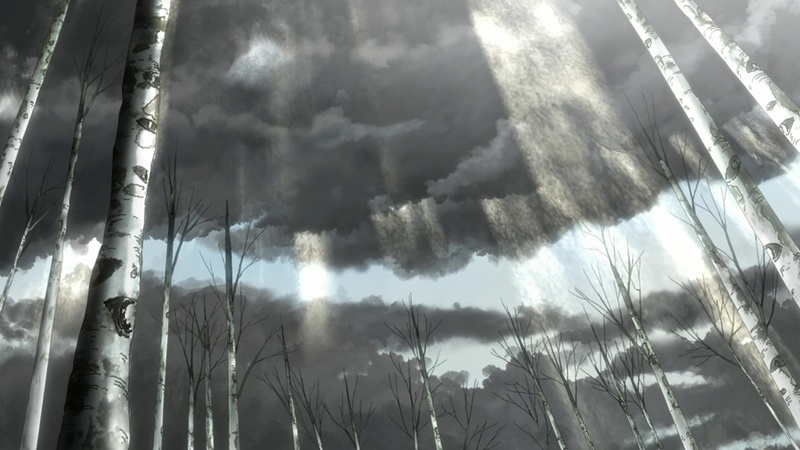 Interesting work from a similarly noteworthy team: the background art in this episode was painted by Studio BLUE, under the supervision of art director Ryo Kono. If that name sounds familiar to you, it’s because you’ve likely come across it in this site; St BLUE are a relatively small company in Korea under the control of Kyoto Animation, who rely on them for some coloring, in-betweening, and background art duties. 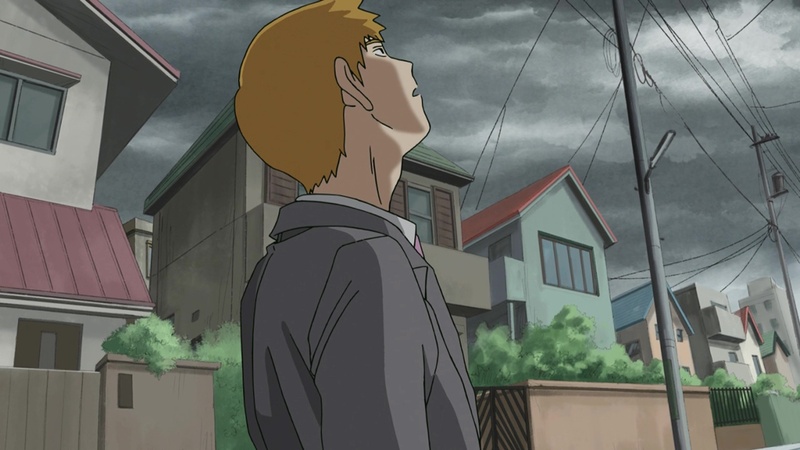 But since the mainland studio’s been gradually sending them less work and certain connections were already built back when KyoAni did outsourcing work, every now and then we see St BLUE assist other studios and projects like Mob Psycho. 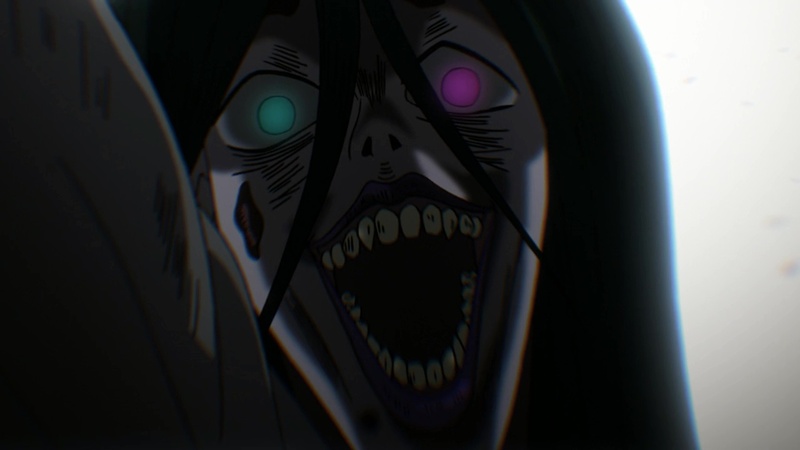 ─ Character designer Yoshimichi Kameda personally oversaw the animation of this episode, which made the staff allocation in these early episodes feel like even more of a deliberate move. 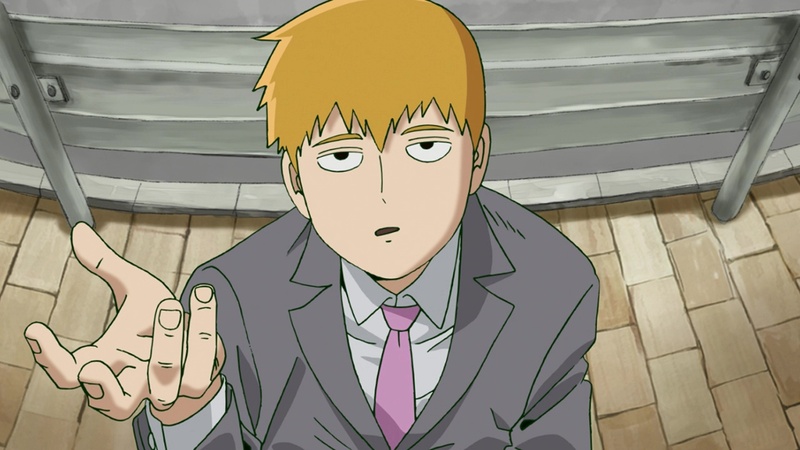 Usually, you’d expect the main designer and supervisor in the first episode, but this season of Mob Psycho flipped the script on us; the first episode, more low-key by the show’s standards, featured a gesture-oriented acting specialist like Kanako Yoshida as its animation director, whereas Kameda was moved to the second episode as that played better to his strengths. And exactly what are those? There’s many of them, starting by his ability drawing tricky layouts. I wrote about this episode’s excellent staging before, but truth to be told, those ideas wouldn’t have translated as well into animation without an artist of Kameda’s caliber to execute them. ─ And when it comes to an animator like Kameda, it really does seem like he is the one bringing it all to life, regardless of anime being the result of a team effort. His eccentric style could once again be felt throughout the entire runtime. One word to describe it would be playful: the animation never gets boring, no matter what’s happening on-screen. The exaggerated facial expressions and thick, sketchy lineart are staples from his that you’ll easily recognize, but his skill got to shine in a variety of ways; from the sheer terror of legend conveyed by Dragger’s raw art to the smeary madness of the dashing grandma’s, which was as fun as the truth behind the urban legend – Kameda made sure there was no dull moment. 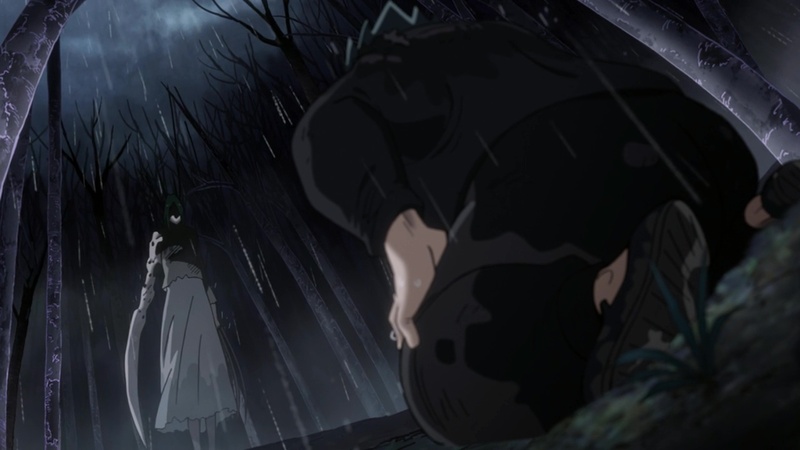 There’s even a dash of nostalgia to his mix, since Banshomaru getting tased by the raincoat creep featured sumi-e style impact frames similar to his work on Fullmetal Alchemist: Brotherhood, and other scenes had similar early Kameda vibes to them too. A feast for the eyes… though admittedly it doesn’t reach the animation highs of his episodes in the first season, likely because this was a simple side story in the grand scheme of things. Either way, it’s safe to assume that Kameda will return and go all out on more important episodes later down the line. 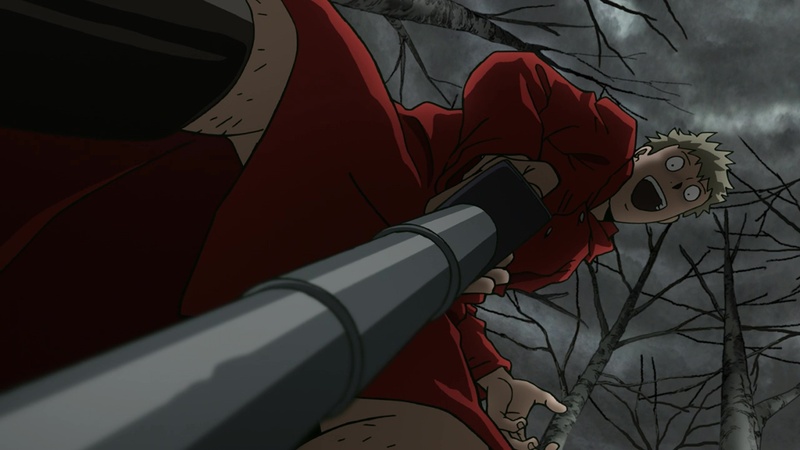 ─ As per usual, Kameda was also supported by a handful of skilled key animators who further elevated individual scenes. 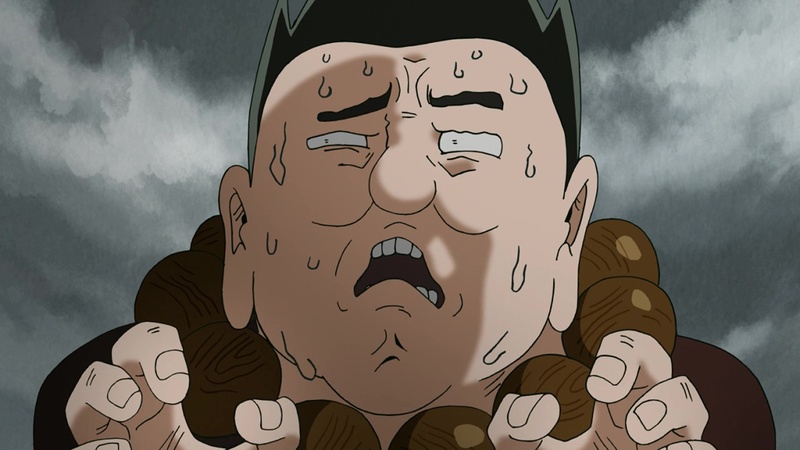 Toya Oshima, Kameda’s acquaintance from the time he worked at studio Khara, animated the initial skirmish between Dragger and Dimple-possessed Banshomaru; the background animation cut gets across the dynamism that his free-flowing style can convey the best, but perhaps the most Oshima-like moment of them all is that cute flabby belly with lovingly animated with attention to secondary action. 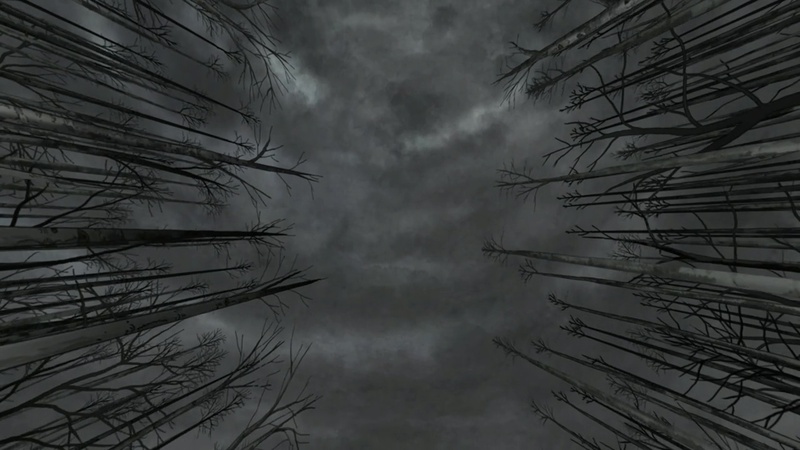 The following action setpiece in the forest was handled by Kosuke Kato, a young animator inspired by Kanada-style techniques and thus very compatible with Kameda’s own idiosyncrasies in the first place. 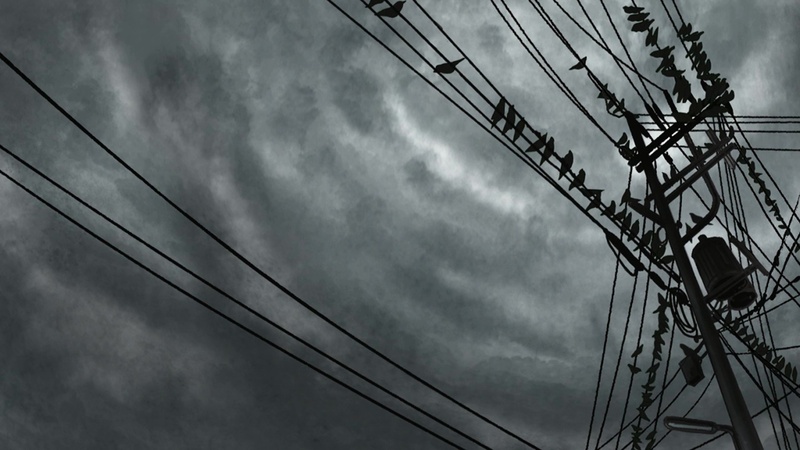 It says a lot about the strict but fair supervision that even though Kato was following his usual pattern, many people though the scene had all been animated by Kameda himself – and that’s a theme throughout, which makes guessing the authorship of even the most outstanding parts otherwise rather tricky. 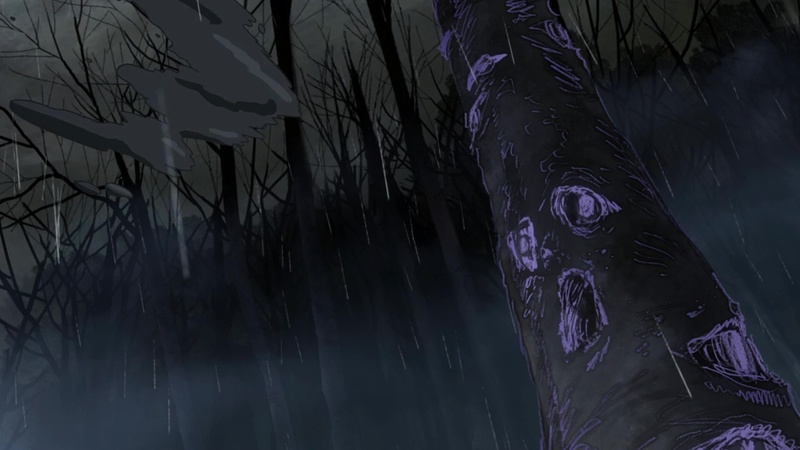 Personally, I’m particularly interested in who animated Dragger’s mud spirit form, perhaps my favorite bit of animation from the episode. 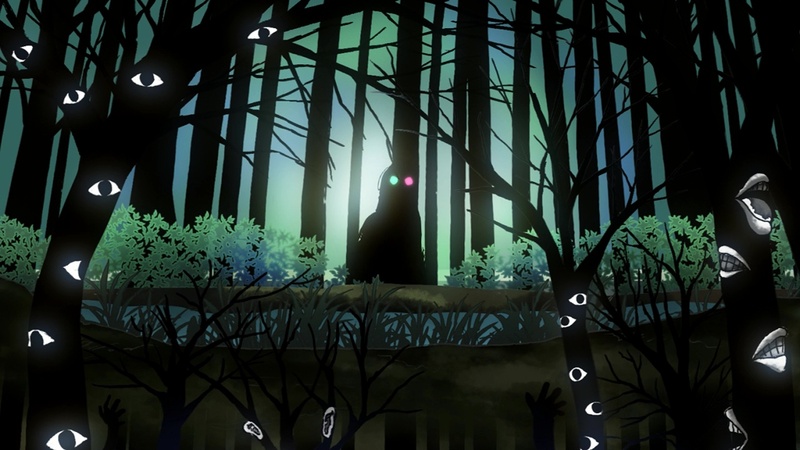 A great mix of weighty impact and nightmarish looseness! 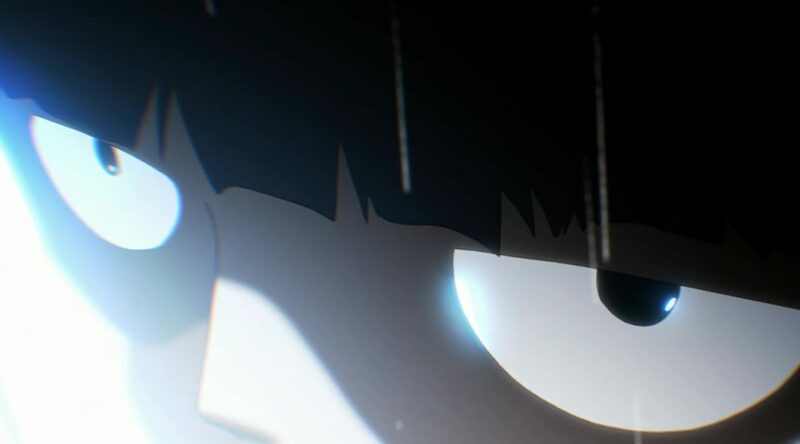 ─ Mob Psycho 100 decided not to step into the same river twice and delivered an ending that felt vastly different from its predecessor. 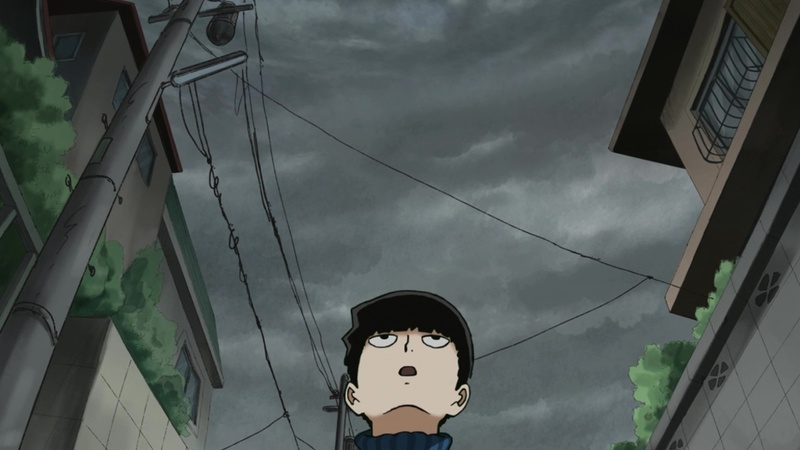 It’s nearly impossible to appropriately follow-up a sequence made by such an unconventional artist as Miyo Sato, so Ayako Hata decided to do her own thing and crafted a heartfelt sequence focusing on Mob and the friendships he’s made along the way. 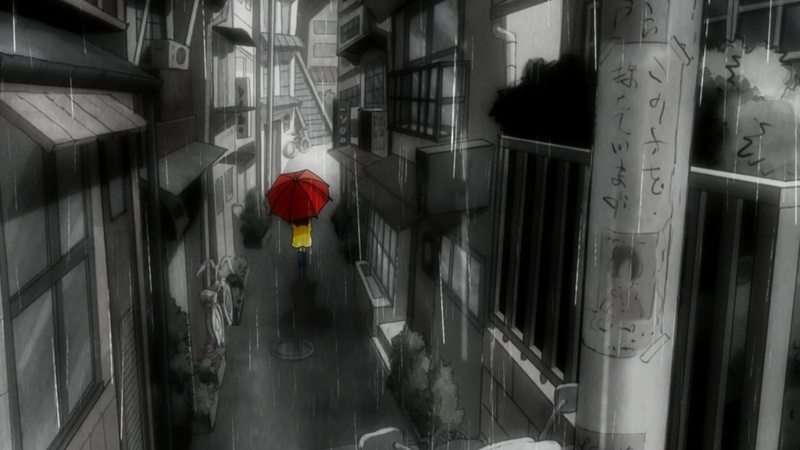 You might recognize Hata as an animator who occasionally showed up on season one, though perhaps you recall her from her most recent high profile job as animation director on Mamoru Hosoda’s Mirai – where she split the duties with her husband Hiroyuki Aoyama, a seemingly deliberate move on the director’s part since every element in the movie revolves around the theme of family. Although she’s a renowned animator, this was actually the first time she was tasked with drawing storyboards and directing. Simple as it may be, the result is just adorable and you lack soul if you don’t want to hug the chibi versions of the show’s cast. I don’t want to jump the gun but get ready for ep3-5 since it will cover the second half of the 2nd PV. As much heart-attack as the next arc will give me I know the waiting in between will be painful. 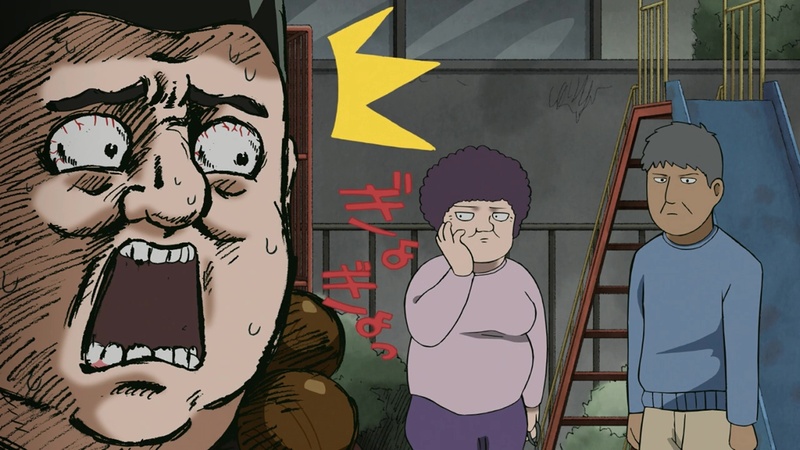 Your post about Mob everyweek will help me endure that pain. Thank you very much for your work!